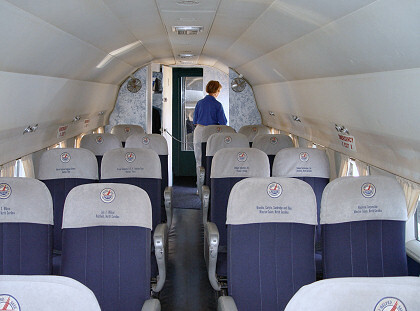 You could pay $2.00 and board the DC-3 to look at the interior; I thought that was a good deal. You can click on the right-hand picture to enlarge it; use your browser's "back" command to return here. 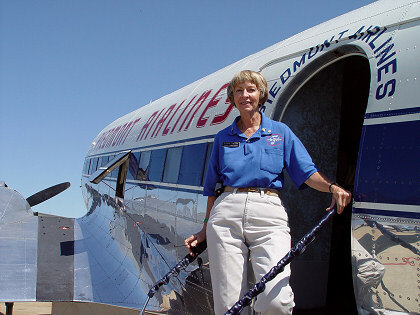 According to her nametag, the woman is Gloria Dalton, a volunteer for Carolinas Aviation Museum (which owns the DC-3). 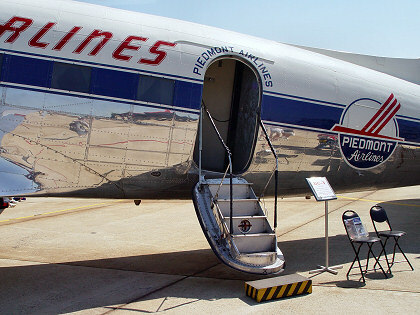 She was the host for the onboard tours of the DC-3. 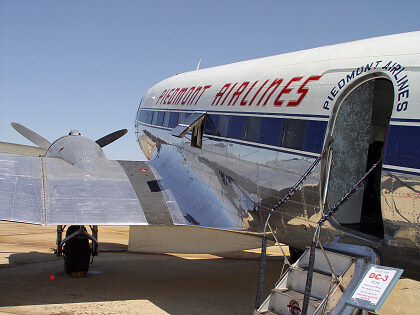 She is also a licensed pilot and actually flew the DC-3 once. 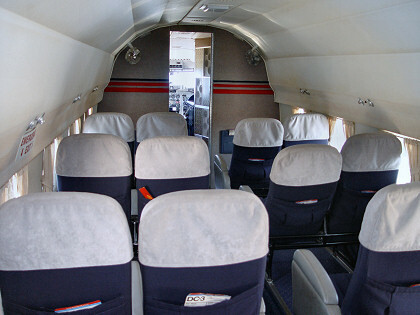 The left-hand picture is looking forward towards the cockpit; the right-hand picture is looking aft towards the door. The seat arrangement is non-standard. One thing you can't tell from the picture is the angle of the floor. 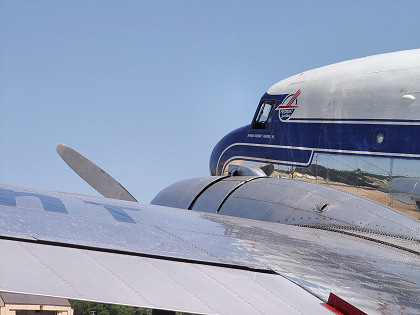 Unlike modern airliners, the DC-3 is a taildragger and the floor is steeply pitched; it felt very odd walking around inside.